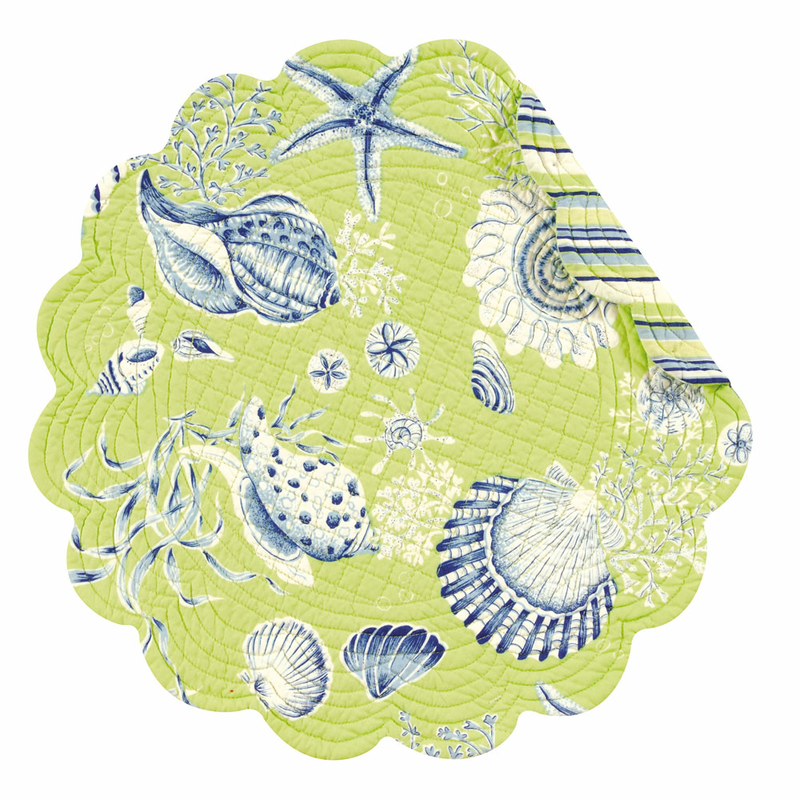 Showcase your beach style with this Set of 12 Green Seashells Round Placemats, designed with a quilted blue, green and white shell print that reverses to stripes with scalloped edging. This coastal kitchen decor ships from the manufacturer. Allow 1 to 2 weeks. For many more pieces, we invite you to take a moment to review our whole range of coastal kitcen decor at Bella Coastal Decor today.